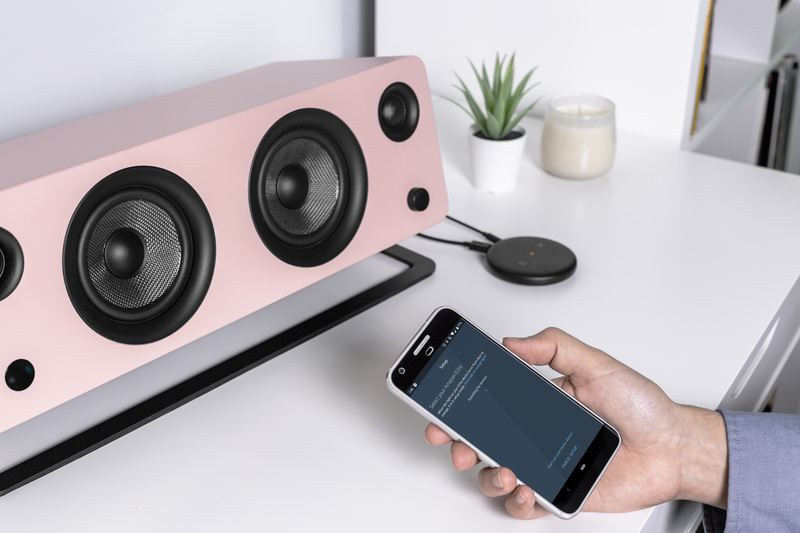 In a previous blog post we recommended adding Google’s Chromecast Audio to your Kanto speakers to create a multi-room setup. Now that Google has discontinued Chromecast Audio we’ve started recommending Amazon’s Echo Input as a replacement. 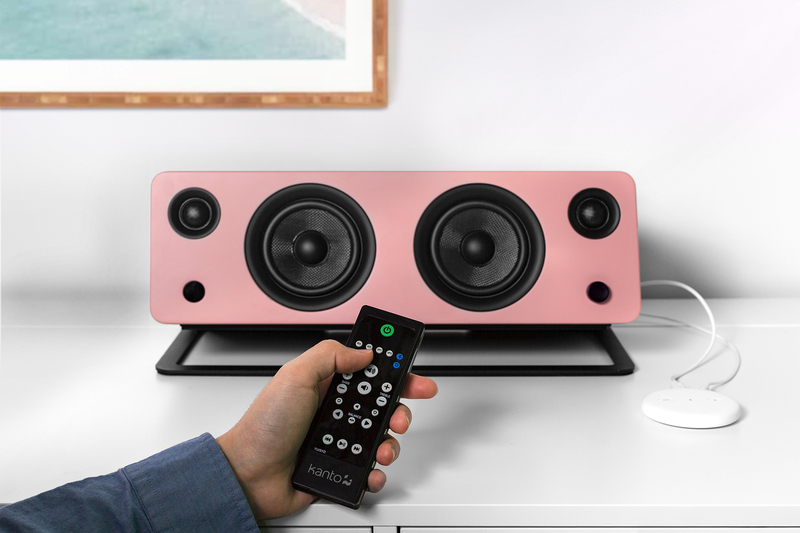 Echo Input is affordable and one of the easiest ways to get multi-room functionality out of your powered speakers. Alexa is built into the Echo Input giving you control of your music through voice commands. Anyone in the household can ask Alexa to play music even if they don’t have access to a mobile device. 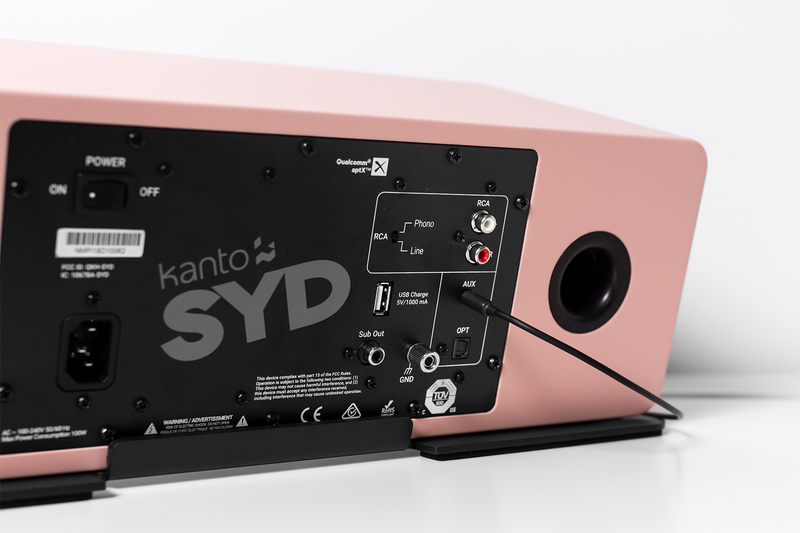 There are a few Echo Input setup guides that you can search for so we’re going to specifically focus on setting up multiple Kanto speakers with Echo Inputs. We’re assuming you already have more than one Kanto speaker pair but if you don’t, you can still go through the steps with other speaker brands. You’ll need to purchase one Echo Input per speaker pair in your multi-room setup. 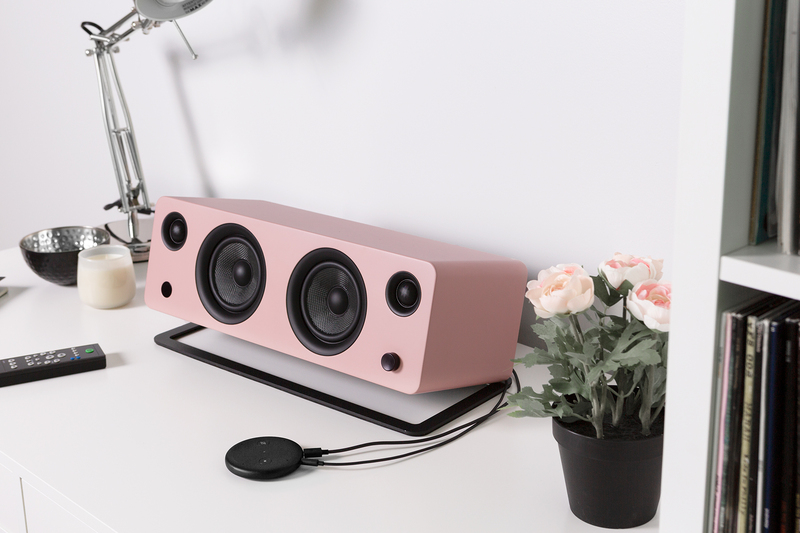 You can purchase them in black or white to match your speaker and décor. 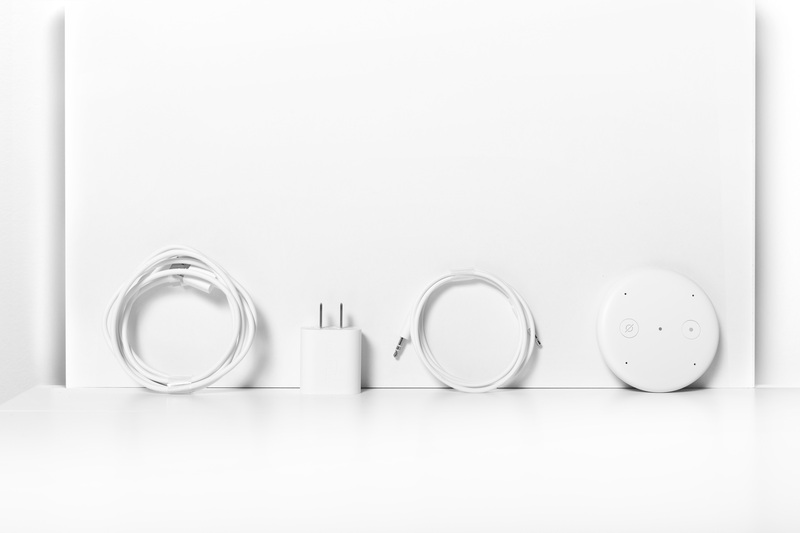 Amazon includes a matching black or white 3.5mm to 3.5mm cable depending on the color of the Echo Input that you purchased – that’s a nice touch! Download the Alexa app onto the mobile device, tablet, or computer that you’re going to be playing music from. Sign in using your Amazon account or create one if you don’t have one. You’re going to take this device with you from room to room as you set up each Echo Input. Connecting and setting up the Echo Inputs on the speakers one at a time will make set up much easier. 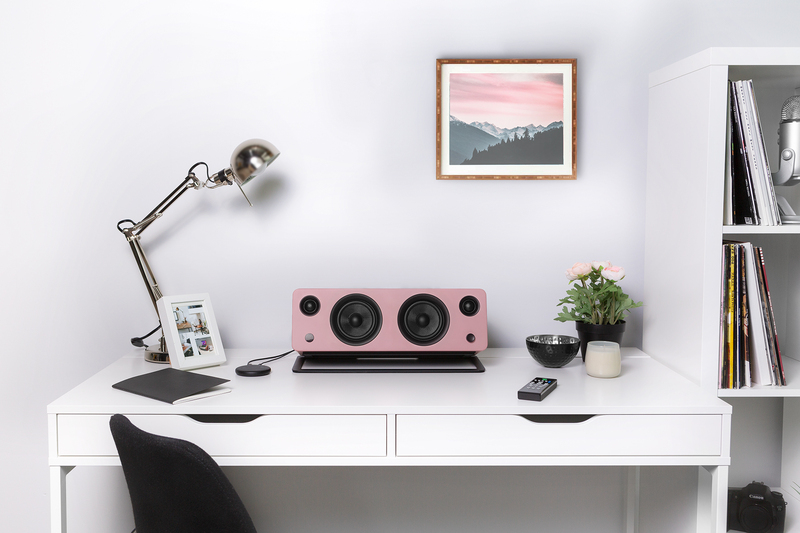 Now that you’ve got the app downloaded, it’s time to connect the Echo Input to the first speaker in your multi-room setup. Ensure the speaker is turned off before connecting the Echo Input. 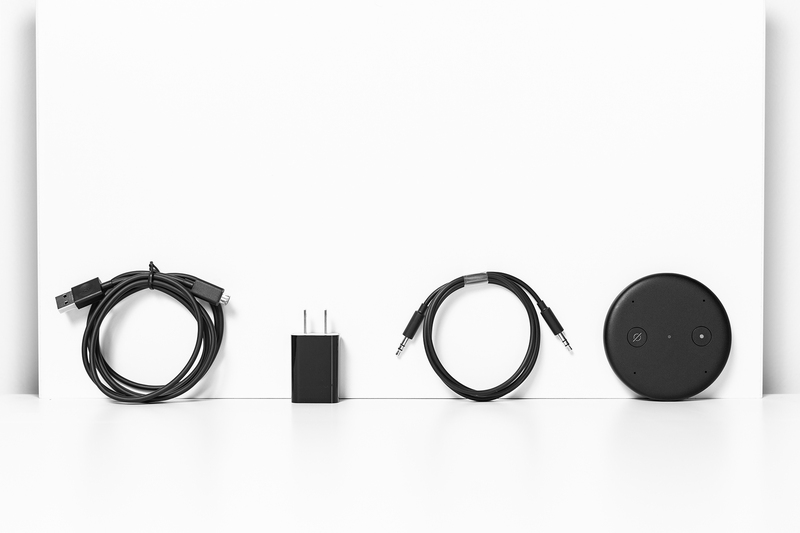 Each Echo Input comes with a 3.5mm to 3.5mm audio cable, a USB power cable, and a power adapter. Plug one end of the 3.5mm audio cable into the AUX input of your Kanto speaker. Connect the other end of the 3.5mm audio to the Echo Input. Connect the other end of the USB power cable into the Echo Input. Turn your speaker on and make sure you’ve selected the AUX input. Open the Alexa app and tap on the menu (≡) to find the “Add Device” section. Tap on “Add Device” and then tap on “Amazon Echo” in the list of All Devices. 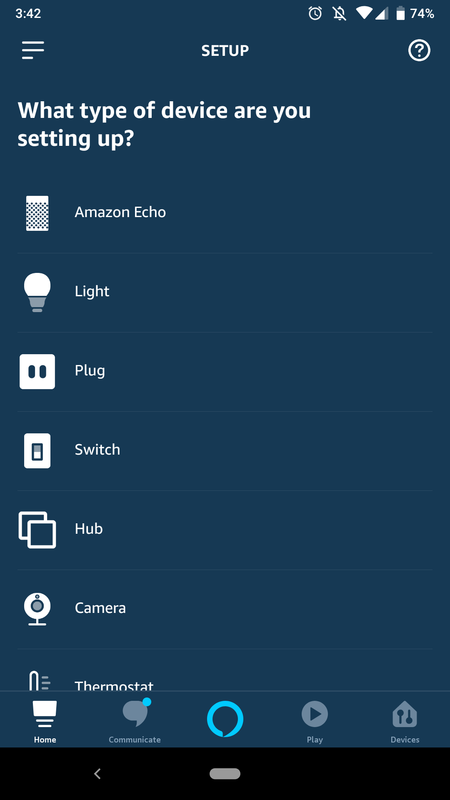 Tap on “Echo Input” and then tap “Continue” and follow the onscreen prompts and instructions to connect the first Echo Input to your WiFi network and the Alexa app. Once successfully connected tap “Continue” and you’ll be brought to the Audio Setup page. Choose the “Connect AUX Cable” option and continue tapping “Continue” until you reach the page where you can select the Group that you want your first Echo Input to be part of. The name of the Group you choose will typically be based on the location of the Echo Input you’re setting up. It’s not necessary to have each Echo Input be part of the same Group as we’ll be setting up the Multi-Room Group later. Pick one of the Common Groups like “Bedroom” or “Kitchen” or scroll down to the bottom of the page to the “Create Personalized Name” option to type in your own name. A tutorial may pop up – feel free to watch it if you’d like to familiarize yourself with everything your Echo Input and Alexa can do. Your Echo Input should be fully setup at this point whether you watch the tutorial or not. Move on to the next set of speakers. Set up the second Echo Input and go through the same procedure as before. You will move from room to room until all your Echo Inputs have been set up. Open the Alexa app and tap on the menu (≡) to find the “Settings” section. Tap on “Device Settings” and then tap on the plus sign (+) in the top right corner. Tap on “Add Multi-Room Music Speakers” which will bring you to the Multi-Room Music Group setup page. Tap “continue” so that you can select the Group that you want your Echo Inputs to be part of. This may be different than the name of the Groups your Echo Inputs are already part of. You can also give this group a custom name. Once you’ve selected the Group or named your own, you will need to define the Echo products you want in the group. Select all the Echo inputs you want to play music to at the same time and tap on “Save”. The app will take some time connecting and setting up the group. Once it’s completed, you should be fully set up. At this point you can ask Alexa to play music to the Multi-Room Music Group you set up. If you named the Group “Upstairs” you can say “Alexa, play music upstairs” and audio should start playing from all the speakers in the Multi-Room Music Group. 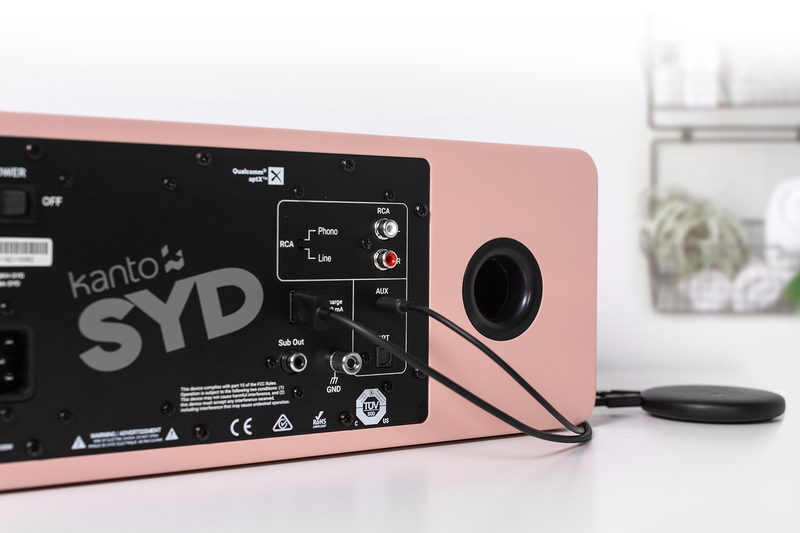 The YU4, YU6, and SYD will detect audio coming from the Echo Input and automatically wake up from standby without the use of the remote. When you stop playing music they will go into standby after 15 minutes of inactivity.